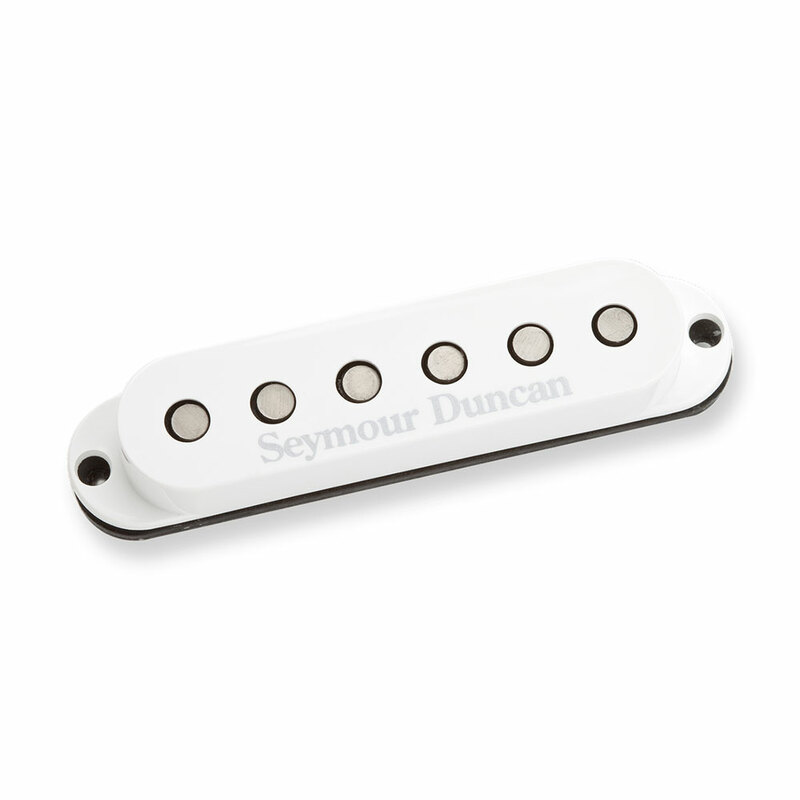 The Seymour Duncan SSL-5 Custom Staggered Strat Single Coil Pickup is a special overwound single coil originally designed for David Gilmour (and found in his signature Fender Stratocaster), it strikes the perfect balance between increased output and bouncy Stratocaster tonal character. It will deliver bigger, fatter chords and will cut through the mix more clearly than a traditional Strat pickup, without losing the sparkle that makes a Strat sound so unique. Single notes will be bold and loud and your solos will really sing. Use in the bridge position with pair of Vintage Staggered strats in the neck & middle for the Gilmour style setup, or use an SSL-5 in the neck and bridge with a SSL-5 RWRP in the middle for hum-cancelling in the 2 and 4 positions of a Stratocaster. The bobbins are built with hand ground alnico 5 rod magnets, lacquered then wound and wax potted for squeal free performance and made with modern oval Forbon flatwork (non-triangular) which enables this pickup to fit into any guitar that is routed for single coils.